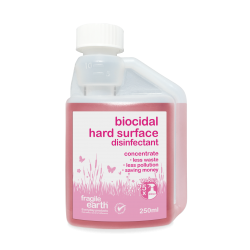 Our Biocidal Cleaners are 100% natural organic products which harness the power of citrus and plant extracts to create a range with a PSLog6 kill rate meaning that they will kill 99.9998% of all germs, viruses and bacteria they come into contact with. Our unique formulation is certified to EU standards EN1276 for all bacteria types and EN1650 for moulds and fungi there are often times when a deep sanitising and instant clean is required. It is our view that this is best done with a natural product and not with chemicals. Our Biocidal Cleaners are SUPER CONCENTRATES to save money and reduce waste, we don't want to sell you water when you already have it on site nor plastic bottles you will already own and can reuse. 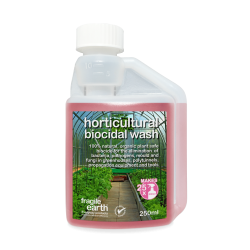 Our products provide immediate and residual action and in all cases are manufactured and designed to be non-toxic, safe to humans, animals and plants both in use and disposal. Read more about our biocidal concentrates here. Biocidal (Anti-Bacterial) Laundry Additive.Sanitises and kills germs and pathogens in laundry and all machine parts and pipes.